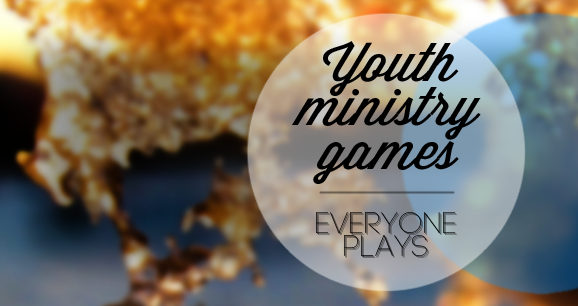 Should Your Youth Ministry Play Games Anymore? If you’ve read our two earlier posts on our Middle School Only and High School Only “Back 2 School Bash” events, then you know what’s up! We love to throw a huge party for all the teens in our surrounding community. We don’t publicize it except for word of mouth by our students. God has used our students so greatly over the last few years, that we’ve had to go to 2 B2SB events as Middle School Only and High School Only. So here you go, here’s our event video of what all happened at our CBSM B2SB! Oh and by the way, FLAME will be coming to Capshaw Baptist on Wednesday, October 5! We absolutely love this game at CBSM! Start your game off with this Light-Saber Intro Video. Then show the students how to do it. They grasp their enemy/opponents hand, and point out their index finger as their light-saber. All they have to do is touch their partner with their one light-saber anywhere on their body (except for their arm from their elbow to their hand on their light saber arm…that would be so cheap). Run 30 second light-saber battle rounds. Guys play guys, and girls play against girls. At the end of each round, losers sit and winners play each other until it dwindles down to the 2 championship rounds of the guy pair and girl pair. Play this mp3 to spice up your light-saber battles to epic proportions! This is one of CBSM’s most favorite videos of all time. I’ve met this dude before, and he’s a great guy. A youth pastor in California somewhere I believe. But about once a year, we’ll start out our youth service with this video. Then we’ll ask the whole student ministry to stand up and copy the Old Testament Dance (from 1:45 to 2:15 on the video). I’ll watch for the best dancers, and pick the top 10 to come up on stage and have an Old Testament Dance Off with the video playing with them from 1:45 to 2:15. The only rule we have is that the students don’t turn around with their rump shaking the crowd as “the booty drops like the walls of Jericho.” Your student ministry will love this! Give a free snack or drink to the winner. TUGGLE WAR: Tuggle War is a one on one kind of game. The students spread their feet shoulder-width apart. They face their partner, and they lock their right hands together. When the leader says go, they use that one hand locked with their opponent to push, pull, and yank their partner off their balance. The first one to move or shift their feet from the very spots they are standing in…LOSES. You cannot use your other hand or any other part of your body whatsoever to touch your opponent. The object is to get the other person to move, shift, or lift a food to put them out. We usually run one quick practice round. Then we go for real. The winners of the first round find another opponent from the other winners, and you keep playing out each round until you have an ultimate winner. We only let each round go about 30 seconds. We play high energy music during the rounds. And everyone has a blast. That is our CBSM Game Time: Tuggle War!